In 1930 Captain Ridley took a group of friends on a shooting party to a property near Fenny Stratford. The property was ideally located near Bletchley railway station which had links to Oxford, Cambridge and London along with the main line north to Manchester, Leeds and on to Scotland. Captain Ridley was actually Admiral Sir Hugh Sinclair, the head of MI6. Unlike the government he believed war was coming. 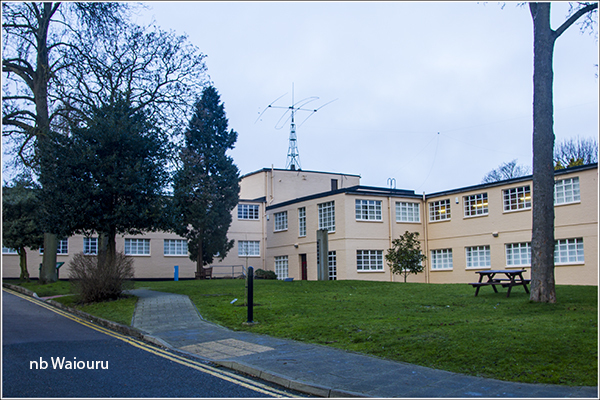 The purpose of the visit was to assess whether the property at Bletchley Park would be a good location for a secret cypher and communications station. It was the end of the great depression and property prices were still low. MI6 was able to purchase the property for £100,000. This was the 10th station owned by MI6 and was officially known as Station X. 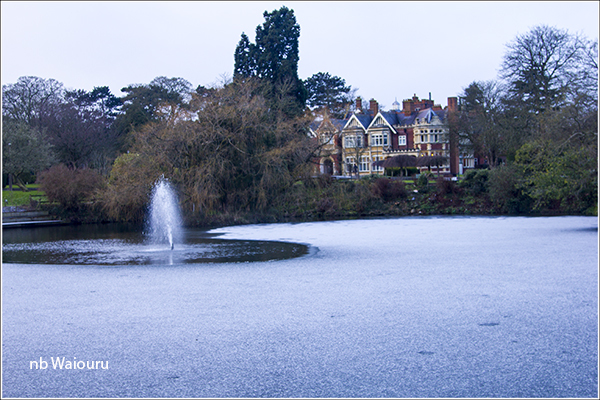 The men and women at Bletchley Park worked in secret throughout WW2 breaking Axis codes and deciphering encrypted communications. Their efforts reputedly shorted the war by some two years and saved tens of thousands of lives. The entire operation remained secret until the 1970’s with many people who worked there not knowing the full story of what they were actually doing until that time. My own interest in Bletchley Park is two fold. First, cryptology interests me, and secondly Jan’s father worked at Bletchley Park during the war. Not that he understood the full story. What went on there was so secret very few people knew the entire purpose of the station. Some 75% of the staff were female. Mostly doing the mundane and repetitive tasks for which they were well suited. 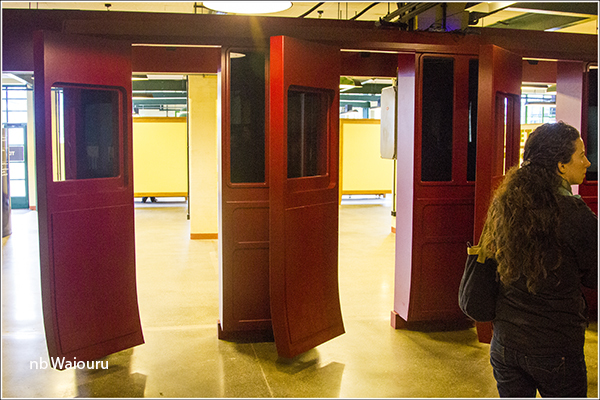 The staff were a mixture of military, academic civilians and public servants. At the beginning of the war MI6 actively sought out academics who specialised in mathematics and other vocations applicable to cryptology. Some of the ‘boffins’ must have been rather eclectic because one junior member of staff mentioned some didn’t pay much attention to their personal hygiene (they had BO!). One apparently had a large unruly red beard and wore carpet slippers. The Americans nicknamed him “Lend-Lease Jesus”. It must have been a very insular existence with secrecy being paramount. I don’t want to write a full description of what happened at Bletchley Park and will confine myself to a description of some of the buildings and the three major “machines” devised, constructed and used to break codes. 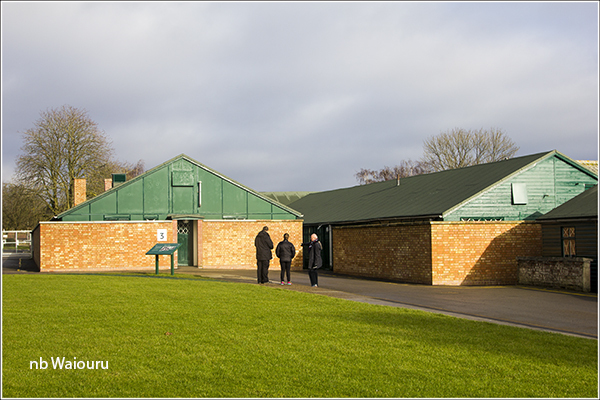 A number of the original wooden huts at Bletchley have been preserved. Those in the photo above have been protected with an exterior brick wall and new roof cladding. Alan Turing (lead character in the recent film The imitation Game) was a brilliant mathematician with an interest in cryptology. He was instrumental in the further development of the original ‘bombe’ designed and built by the Polish cryptologist who first broke the German enigma codes. The Enigma coding machine was first built in the 1920’s and sold commercially. The NAZI’s started using them and commercial sales ceased. Initially the machine consisted of a typewriter keyboard electrically linked to three rotating disks or cogs. The cogs had 26 ‘teeth’, one for each letter of the alphabet. Each tooth on the cog was electrically linked to a contact on the side of the disk These contacts linked to the contacts on the adjacent cog. Every time a key was pressed the right cog rotated one tooth. After a set number of moves the middle cog turned one tooth and eventually the left cog turned. The consequence of this was that by pressing any key on the board could result in any one of 17576 combinations. 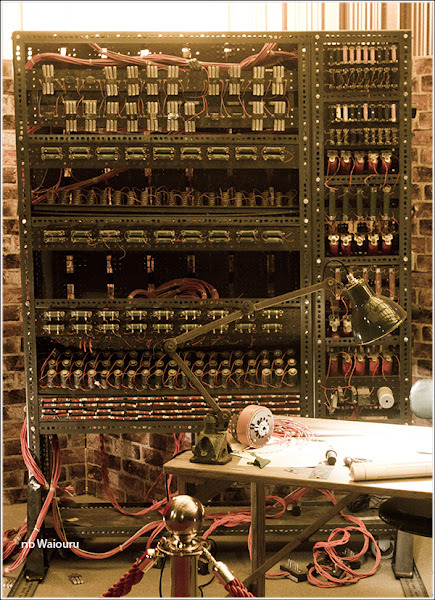 The Germans subsequently added a plug board and additional cogs eventually resulting in 150 billion combinations. They knew that whilst it was theoretically possible to break the code the required effort would be too great. The Germans had two types of encryption devices. Enigma and the Lorenz cipher. Every day, and sometimes more frequently, the Germans changed the initial settings for the cogs. This meant the Allies had to break the code at least once every 24 hours. 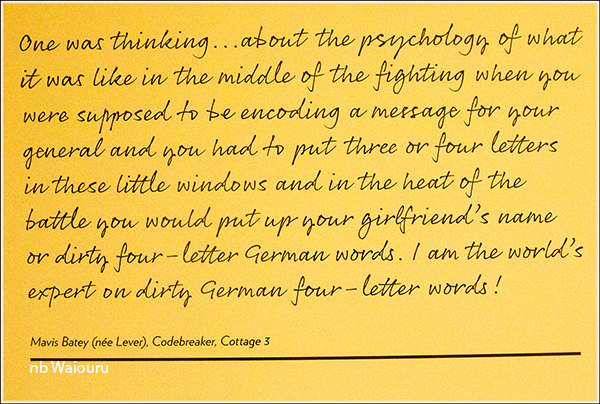 The staff at Bletchley used various human methods to reduce the mathematical probability of identifying the daily key. These methods included the careful examination of routine report and identification of standard phases. Sometimes they deliberately fed information to German spies in the UK and then analysed the encoded message when forwarded on through the Enigma network. German operators also assisted by failing to follow procedures. 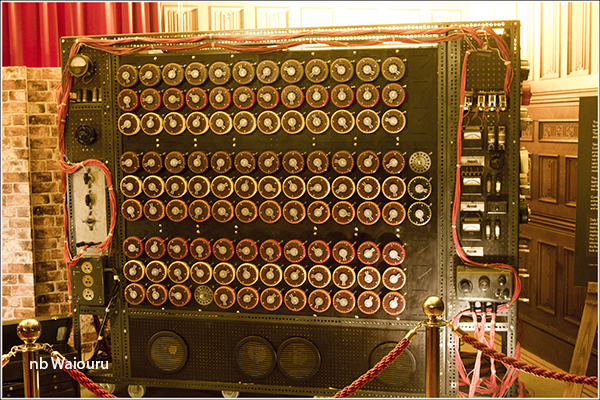 They then used the ‘bombe’ designed by Turing to crack the code on the Enigma machines. There wasn’t just one daily key. The German army, air force and navy used separate keys. Moreover the diplomatic service and others also used Enigma. The bombe was an electrical mechanical device with rotating drums. The possible key for the code was set on the drums by female naval ratings and they then rotated through the thousands of combinations until a key was found. By the end of the war the allies had a large number of bombe. Few were actually at Bletchley. Instead they were located at various outstations. This minimised the risk of them being destroyed during an air raid. The Lorenz cipher was used by the Germans for higher level communications and was even more complicated. This cipher was broken by using the Robinson machine and subsequently by Colossus. Colossus was the first electronic computer. It used electronic valves instead of the bombe electrical-mechanical rotating drums. Colossus was designed and built by the brilliant Post Office Engineer, Tommy Flowers. Apparently he had so much difficulty convincing his superiors that it would work he actually spent his own money on it’s construction. I really wanted to see all three machines. But at the end of the war Winston Churchill ordered the machines be broken up into parts no larger than a human hand and all documents burned. It is suggested he did this because the UK and USA had large numbers of Enigma machines which they then sold to other countries. Obviously these machines would have no value if the potential buyers realised their codes could be broken. The UK did keep two Colossus machines which they probably used to break Soviet codes. Unfortunately the only publically accessible replica of Colossus is in the adjacent National Museum of Computing and I’ll have to go another day to view it. Sorry about the delay with this blog post. Our current location has a very poor internet connection and loading the photos has been particularly difficult. An excellent write-up on Bletchley Park, Tom. Did you go and see the other computer room where there is a fantastic collection of computers since they they became household items? I am so pleased you went to BP - I didn't reealise that Jan had a personal connection to the place - even more pleasurable in that circumstance, I would expect. We were extremely impressed with the brainpower that was evident during that era without the access to micro-technology, but clearly the predecessors to it. The capacity for keeping secrets was amazing too, with the left hand not knowing what the right hand was doing. And the people in the town had no idea either! That's the 'other' museum. The little pink pig is sweating on whether I also visit the computing museum before we leave. Yes, we noticed the ironmonger's when Jan visited the wool shop opposite.